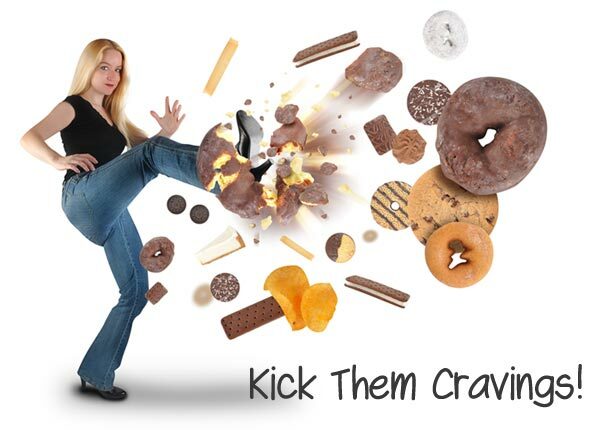 3 Simple Tips To Stop Your Crazy Food Cravings - Bonny Was Fat. Not Anymore. Is It Really That Tough To Conquer Food Cravings?! Well, the honest answer is = it depends! The topic of emotional eating, aka, cravings has been covered at least a zillion times! All over the web! So with that said, here are just 3 three major key nutritional frameworks that you need to know to help fight cravings. Again this isn’t like a “don’t eat this, eat that” list. There are 3 broad rules you can apply every day to get you prevent cravings. Before I tell you what they are, I just want to tell you a quick story. When I was living in London, I had a friend named Chris. Chris found himself slowly gaining weight, slowly creeping up over the months and months of eating rice. Now, he never previously eaten such a high carbohydrate diet and in London, we were eating white rice 5 times a day. Ultimately after about a year and half, he found himself with 70 extra pounds of weight. He started having health problems, aches and pains and started getting sick a lot more often and that was when he started taking matters into his own hands. When Chris first started to lose weight, he did what everyone else does. He just started eating less. So he would eat 3 meals a day, cut his meals in half and end up finding himself starving and craving things in between. What’s crazy about the story is that, only when he started eating 5 meals a day full meals a day did he started losing weight again! Now, most of you already know this because you cannot just dramatically cut down how much food you eat… the result will ALWAYS be that you will end up starving. There is a direct relationship between how hungry you are and the chances it affects your ‘diet feeling’… Chris had said “Ok, why don’t I just try eating more, try eating the right Foods…” He ended up losing almost 70 lbs in the next year. The easiest way to prevent cravings is to just eat regularly. Regularly is like every 3 hours. If you’re planning on eating just three square meals a day, you will end up leaving big gaps in between for you to be hungry. Low blood sugar is one of the main reasons you get sugar cravings. Have you ever noticed that that you could go to certain places and eat certain types of foods, or dramatically eat a lot more than usual and not feel full? Partly that effect is due to meal composition (the kind of food you’re eating) and not just the amount. Proteins and fats have the ability to keep you fuller longer and that’s just because they stimulate the hormonal system of your hunger. Carbs on the other hand don’t have the same effect or have a lesser effect. The real simple fix is continue doing what he was doing but instead add a little fist size of protein to every one of his pasta meals. In a few months, John came back and told me that most of his sugar craving was gone and most importantly he told me that he lost a lot of the weight that he put on! So here is the nutrition lesson: No matter what you’re eating, eat protein with every meal. Without calorie counting, I recommend a fist size of Protein so that’s 4-5 ounces depending on your body size. Now what that will do is to keep you fuller longer and at the same time it will prevent you from eating more of other foods. Think about it, it’s extremely easy to overeat carbs like bread, pasta, noodles or junk foods but it’s extremely hard to over eat on protein, it’s almost impossible and especially if you cook it yourself it’s much less calories then you would get from getting it at somewhere else. A client of mine named Jade found herself snacking on little cookies throughout the day. The thing was, she already ate a healthy diet, and she already eats regularly. So she covered the first 2 rules very well. She ate enough and frequently. She was finding herself snacking on these cookies a lot throughout the day. 4-6 times in small amounts. That’s when I discovered something interesting. Jane was a single mom and had 1 kid. Now when she would pack her son’s lunch for school, she would put some cookies in his lunch box. While she was putting the cookies away, she herself would snack on some or put some away later for herself. She then told me how hard it was because ordinarily, she does not eat pizza or any junk food. She doesn’t drink soda. She liked to help her kid indulge and be a good mother. So she stacks some in her kid’s lunch. Only problem is that now all those cookies are stashed in the pantry in the same place where she was. Can you guess why this third nutritional framework is called so? It’s called availability because simply if junk food is there, you are going to eat it. Not even because you are craving it but just because you see it and it initiated the chemical cycle in your brain. So just like how a smoker may have a quit smoking years ago but as soon as they hang around smoking friends or they see a pack a cigarettes in the drawer, suddenly that craving will spark up again. The same is true for junk food and other foods that cause cravings. So number 3 is availability and all that means is if you have junk foods stacked around in your kitchen, you’re most probably going to eat it and you are going to crave it even if you don’t notice it. The easiest way to fix the availability of your role is probably just to throw it all out! That is very difficult if you live with other people. So here’s what you do, if you live with your family then tell them your goals, tell them what you are doing and tell them to hide it somewhere so you don’t know where it is. Just a quick recap, here are the three nutritional frameworks. 1) Meal frequency: so eat every three hours. That is a very basic thing to do to keep your blood sugar stable. 2) Meal composition: eat a fist size of protein with every meal. That will help by telling your hunger hormones that you are full. 3) Remember the availability rule : if it’s there, if you casually come across it then you will eat it. It’s virtually impossible to not stock it in your house and not eat it. When People Ask Me Coke Or Diet Coke... I Tell Them.. If you are a diabetic, you need to be aware of these diet myths!